Around the villages of Clooney and Quin, the first instinct is to disabuse you of any notion that that point was just a random, scratch-card act. The second is to protect the man who made it. Peter Duggan is loved by his own, that much is palpable. In a way, they've been waiting for the rest of us to catch up, to open our eyes to this gentleman giant with cliff-face shoulders and gossamer hands. Mike Murphy, a trustee of the club, was on the Clare squad that won the 1977 National League. Ger Loughnane is an old team-mate, and someone who often stops for a chat when passing by his house. Some months back, Loughnane sought Murphy's view of Duggan. "Will he make it?" he asked. "Write it down he will!" replied Murphy. The certainty was interesting given Duggan's introduction to the Clare senior hurling panel was way back in Davy Fitzgerald's first season. Six years later, it's as if he has become an overnight sensation, scorer of 2-70 thus far in the championship and, suddenly, Clare's free-taker, primary puck-out target and greatest source of turnovers. Maybe the temptation with slow-burn heroes is to look for a crack in the curtains, but Murphy has a theory for Duggan's late arrival into the national consciousness. Carrying "I always knew he had it," he says emphatically. "But he probably played in fairly weak teams in Clooney and was carrying them really. And maybe he thought he had to do it all himself. "At first with Clare, he might have been trying to take on two or three men. He'd often beat them too, but then sometimes he'd get caught and maybe look a bit foolish. "But that isn't part of his game anymore. He's turned into a complete player, a real team player." Last year, Duggan provided the main on-field propulsion for Clooney-Quin's journey to their first senior county final since 1944. They were beaten in a replay by Sixmilebridge, yet his scoring returns (2-13 v Feakle, 0-12 v Clonlara and 0-10 both days in the final) provide an impression of the weight he carried in the dressing-room. Mike Corry, a member of Fitzgerald's backroom teams in both Clare and now Wexford, had two sons, James and Mikey, on that team. Yet, he doesn't contradict Murphy's view that Duggan was "nearly half the team on his own". Corry says: "That's no disrespect to anybody else, my own two boys included. But Peter is larger than life in the hurling scene at home." Fergal Lynch tells a story, shining a light into the mind inside that red helmet. He and Duggan are Clooney-Quin team-mates, their inter-county stories reaching a point of almost perfect intersection on that September Saturday in 2013 when Clare secured only their fourth senior All-Ireland. Lynch, coming to the end of a career that stretched back to the 2002 National League, would be deployed that day as a blood sub during the spectacular replay defeat of Cork. Duggan, still a kid, was in the group essentially to learn. 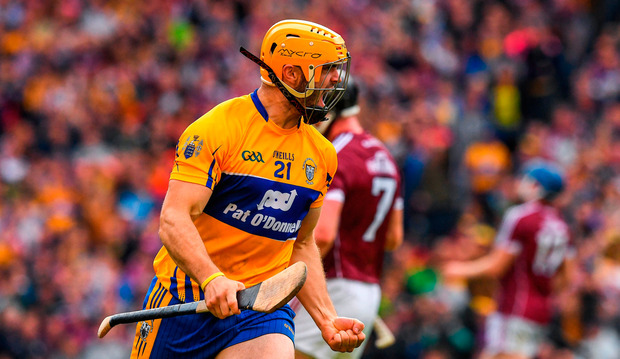 When James McGrath's final whistle triggered a stampede of Clare substitutes into the floodlit bedlam, Lynch and Duggan were shoulder to shoulder at the front of it. The week before, they'd been driving home from training when Lynch mentioned in passing a headache he had building up at home. "I was going to tarmac the front of the house," he remembered this week. "And I'd got two loads of gravel to spread beforehand. I remember looking at them one evening, wondering 'How in the name of God am I going to spread this?' Anyway, on the way home from training, I happened to mention it to Peter. "So he came over and that's what happened. He's an unbelievably obliging guy. If you wanted him to go to the bog or go picking stones off a field, whatever it might be, nothing would be a problem. He'd always be ready, always available. Just an awful sound kind of person." Lynch's first memory of Duggan is a typical Clooney-Quin snapshot. An U-16 B final and this tall, gangly wraith, still U-15, tossed in at full-forward to create a nuisance. His hurling wouldn't have had much rhyming to begin with, but even then Tony Duggan's young fella was a handful. By 2008, he was already being blooded at senior, still a schoolboy, yet deployed by then manager Pat O'Rourke as a substitute in senior championship games once the intensity tapered off. "He was this surprise package," says Lynch. "No-one knew him really, but he could pop up in a senior championship match and score two or three points off a fairly experienced back. And that wouldn't be an easy thing to do." Back then, Murphy used to band his hurleys and, like everyone within the club, marvel at how utterly the game had consumed young Duggan. His older brother, Martin, was on an intermediate championship-winning team in '06 and, for either games or training, Peter would tag along, endlessly practising frees and sideline cuts. The Duggan name is synonymous with hurling in the area, Peter's uncle Mike having hurled with Clare and his first cousin, Orla, the current captain of the county camogie team. Indeed Murphy retains vivid memories of Peter's paternal grandfather, Johnny, ferrying almost entire underage teams around the county at a time they were struggling to keep the game alive. Packed "I would have been playing U-14 and U-16 when hurling was at a low ebb in Clooney and his grandfather had this old Anglia estate," he recalls. "I'd say Johnny Duggan often packed ten young fellas into that car. Only for that, we wouldn't have been able to field a team." So if Peter's love of the game became a natural consequence of his upbringing, the work ethic he applies to it has, maybe, become the untold story. Lynch says Duggan "does more gym work than anybody else and is at the hurling wall more than anybody else". His development has been no accident. He was on the Clare minor panel managed by Donal Moloney and Gerry O'Connor without ever threatening to be a shooting star and, though he started two of the three consecutive All-Ireland U-21 finals the county won between 2012 and '14, Duggan did not register a score in any of them. Fitzgerald gave him his senior championship debut as a sub in the 2013 Munster quarter-final win over Waterford, but Duggan could never force his way into a consistent starting position. It wasn't through any lack of understanding of what he might become. Davy Fitz, who has managed him with LIT too, reflected this week: "Peter always had a great hand on him and, if he was on song, he could win games for you on his own. He could knock over 1-13 or 1-14 no problem, six or seven points from play. Not a bother to him. "But, in his first year or two on the Clare panel, I would have been worried about his work-rate. That's gotten way better now, as has his tackling. Towards the end of my reign, Peter was definitely coming very close to starting. And I'm delighted for him now. For me, he's one of the good guys." Despite his exposure to a senior inter-county life, last weekend's draw with Galway represented just Duggan's 15th championship appearance at 25 and his 11th start. He did not start a championship game under Moloney and O'Connor in 2017, yet his heroics with Clooney-Quin seemed to spark something new inside Duggan. 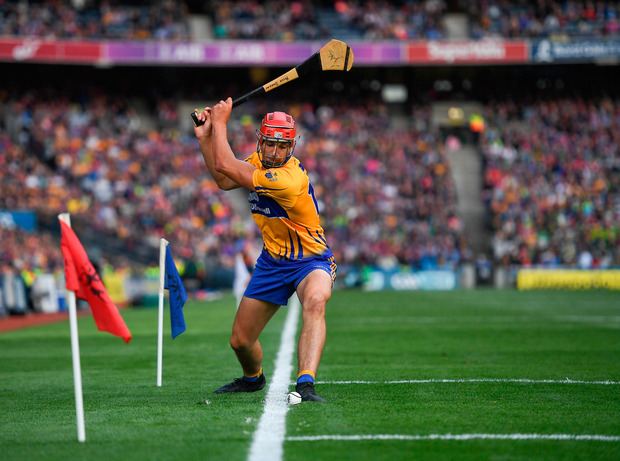 Not long after the replayed county final, he travelled to Boston with Clare for the Fenway Classic, all but running amok against both Tipperary and Galway. Duggan scored 12 goals in the tournament, accounting for 52 of Clare's winning tally of 100. Murphy remembers him hitting "a rocket" in the drawn county final that rebounded almost 30 yards off the Sixmilebridge crossbar: "If it went either over the bar or under the bar, we had the match won." The day Clare beat Wexford in Páirc Uí Chaoimh was, clearly, a difficult one for Davy Fitz against his own. But also for members of the extended Wexford backroom team, men like Corry, Mike 'Gazzy' Collins and Seoirse Bulfin who had all been with Clare too for all of Fitzgerald's reign. Corry, who was Clooney-Quin senior manager in 2011, recalls Duggan's courtesy towards them on the field afterwards, the warmth of the bear-hug, the genuine sense of respect communicated towards old comrades. The following Tuesday, he met Duggan again in Quin village and was again struck by the decency of his words. "He knew the sensitivities," says Corry. "You could only want good things for that man. I want him to win the All-Ireland, to be an All-Star, to win Hurler of the Year. I want Peter Duggan to be seen because this is what he's made for. "Hurling is his thing. Through it, he can be seen for the person he is." When Duggan scored that outrageous 63rd-minute point last Saturday, caroming off a posse of four Galway players to fire, one-handed, over the bar, Lynch invoked his nickname in a Tweet. Around Clooney-Quin, Duggan's giant frame has earned him the tag 'Three-metre Peter'. And that was Lynch's message now, his Tweet reading "3 metre Peter the Great. What a point." Yet, if the score gave Lynch goosebumps, it didn't surprise him. He reflects: "If you asked Peter to stand on the halfway line, he could hit a ball over the bar with one hand. No problem at all. His hurley is 36 inches long, it's the weight of a club or a cricket bat. He's such a powerful man. "I remember we played a Senior 'B' final two years ago against O'Callaghans Mills in Tulla. The game was in the melting pot, a couple of minutes to go and there were three O'Callaghans Mills lads hanging off him, maybe 45 yards out. He got kind of rugby-tackled to the ground out by the sideline and fell to his knees. Two lads came in to block him, but he put the ball over the bar one-handed. "The man's just a wizard with phenomenal strength. But, like, you don't want to be putting a hoodoo on him at the same time." That last line is a sentiment that chimes with the opinions of Murphy and Corry too. They feel protective towards Duggan, seeing the innate honesty that has carried him thus far (he is now the leading scorer in this year's championship) and hoping only for this story to arc to a glorious conclusion on August 19 now. Maybe Murphy puts it best. "Don't blow him up too much now, don't put a jinx on him," he counsels gently. "Because Peter's thought of so highly as a hurler here, but as a man as well. He's a fine man."